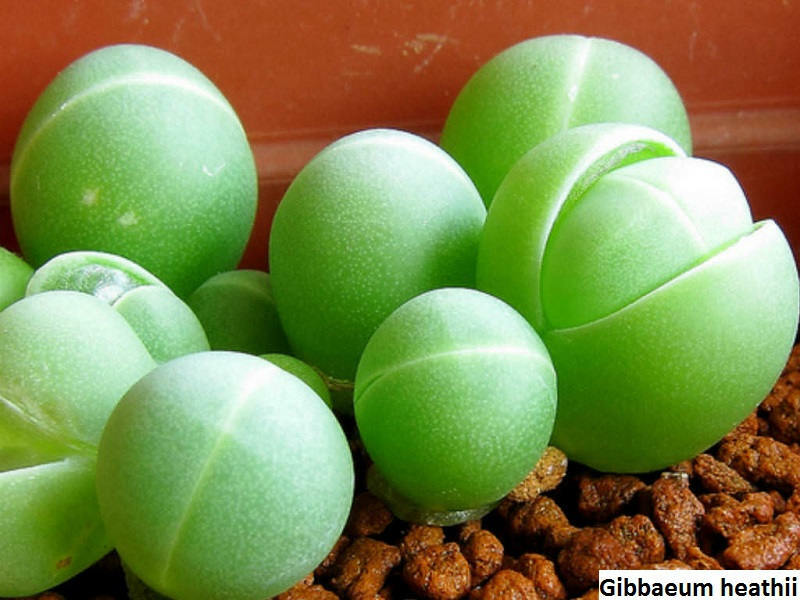 The perfect seasons to grow Gibbaeum is in spring from March to April, and Fall from October to November. As every other succulent plant, the soil must have good drainage. 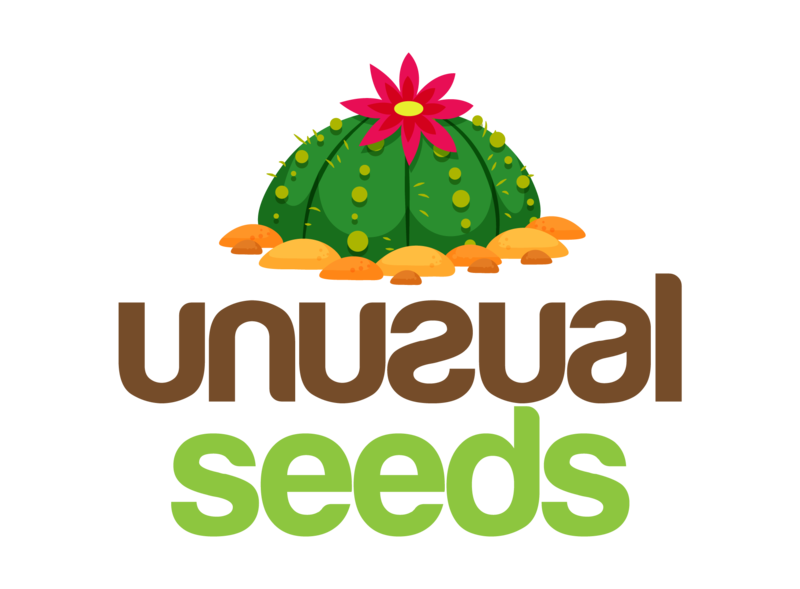 A combination of cactus mix and perlite, sand, or any other material that helps with the drainage is good. Keeping the substrate with a low level of nitrogen is essential for the healthy development of the plant. Sterilize the soil before planting, doing this will guarantee the health of the future plants. You may opt for a seed tray or a flowerpot, considering this is a small plant the best option is to use a pot with a shape like a pan where you can plant as many as you want. Fill the pot with the substrate, moist it and place the seeds over the soil do it gently, and do not forget that the treat you give to the seeds will result in the growth of the plant. An optional step is to add a thin layer of sand or the material you are using to help with the drainage. If you decided to add the sand to the pot, make sure to moist the soil after adding the layer and not before. Cover the container with sheet glass, a white paper or something that keep moist the seeds during this phase. When the seedlings are visible (generally in one or two weeks), remove the cover and make the seedling gradually get accustomed to the sun, you can do so, putting the plant in a light shadowy place or a few minutes in direct sunlight. Watering: the Gibbaeum does not require a lot of water. In summer you should water them very poorly, only when the leaves and stems of the plant are shriveling. During the growing phase (fall and spring) the time you water them must increase, but keep in mind that every time you water them, the soil must be dry. When there is an excess of water the epidermis of the plant breaks, and it causes unsightly scars. When the plant is in a long pot, you must submerge the pot in water (without allowing the water to reach to the plant), in this way the container will be moist and it will keep the plant in good weather. Light: these plants love direct sunlight, even if it is very dry as long as they have good air circulation everything is right. If your Gibbaeum plants have grown in the shade and you wish to give them direct sunlight, gradually approach them to the sun, if you put them in direct sun brutally, the plants may have a sunburn. Cuttings: you can propagate the Gibbaeum through two ways, the first through seeds, and the second through cuttings. If you proceed to do it by cutting, note that you must let the cutting dry for a few days, this process is relevant because the leaf needs to heal the wound. You can use a rooting hormone to accelerate the results. When you take a cut make sure all the garden tools you are using are sterilized to avoid the contraction of diseases, also, make sure you are cutting where the body meets the stem, in other words, take the cutting below the growing point. Temperature: Gibbaeum likes hot places, so it is crucial to keep the temperature above 10º C (50º F). When the frosts arrive, keep your plant indoor because it is likely it won’t support it, and as a result, the plant may die. Pests and Diseases: if you overwater them, it will cause rotten roots. Regarding pests, the mealybugs can be a real problem to the plant if you do not treat it. To get rid of mealybugs use an insecticide cacti-friendly.